As a retail design agency, you might think that free pitching is a necessary hurdle in securing that great gig. And going by the fact that 70% of clients now expect spec work, it’s become an expected part of securing talent too. But just because everyone else seems to be doing it doesn’t mean that you should. At JUSTSO, a leading retail design agency, we believe in the value of design for a project. And that means making choices that provide the most value for the brands we work with, including steering clear of spec work. So why is free pitching a bad idea for both retail design agencies and their clients? And what’s the alternative? A ‘try on before you buy’ approach might work for clothes, but it doesn’t have the same benefits for bespoke design. The best design is born out of research, rationale and creativity. A creative pitch usually encourages the opposite: superficial proposals that are based on a desire to impress rather than a robust design process. 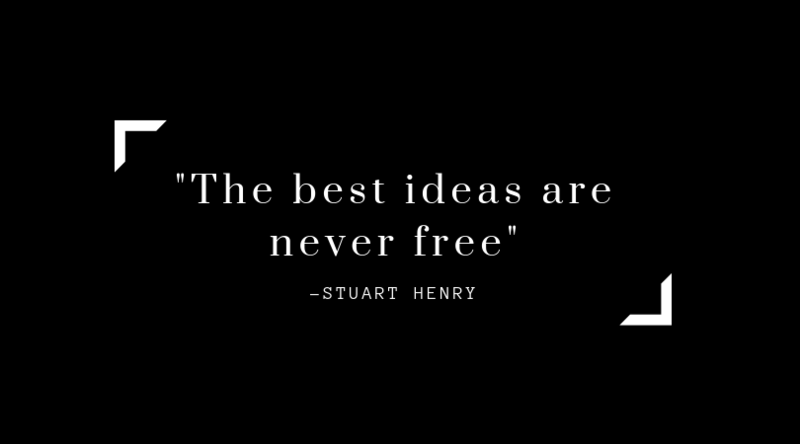 As JUSTSO managing director Stuart Henry explains, “the best ideas are never free”. Chances are that if a truly successful visual merchandising agency agrees to free pitch, their work won’t be as in-depth or impactful as a less experienced agency that has more time on its hands. On the flip side, free pitching does allow for more inexperienced talent to throw their hat into the ring, but it also stifles the creativity of more established agencies who are wary of exploring completely new concepts only to have the client opt for the safest bet. By discouraging both sides from experimenting, the free pitching process stamps out those game-changing ideas before they’ve had a chance to grow. Bespoke design isn’t just about creating something that looks nice. Experienced retail designers will always bring technical, commercial and marketing related value to a project. Asking an agency to come up with ideas for free is like asking a chef to compete with others to produce the most attractive plate of food – for free, of course. The result might look nice, but how does it taste? And what thought has been put into the provenance of ingredients or the balance of flavours? None, because like professional designers, chefs care about more than just aesthetics, and to create the best results they need time, insight and resources – something that free pitching never allows for. After all, there really is no such thing as a free lunch. Demonstrate that you fully understand the brief by following up with initial thoughts on what needs to be done and raising any questions. Run through how you work, including processes, resources, timeline and the expected results. Showcase your potential with relevant case studies and client testimonials. Make it personal with an invitation to meet the team the client will be working with. Free pitching isn’t just bad news for your visual merchandising agency – it hinders your client’s success too. The best creative projects are based on relationships, exploration, and research from beginning to end, but a free pitch makes that impossible to achieve. When we move away from this outdated process, we guarantee better relationships, better results and a higher bar for everyone.